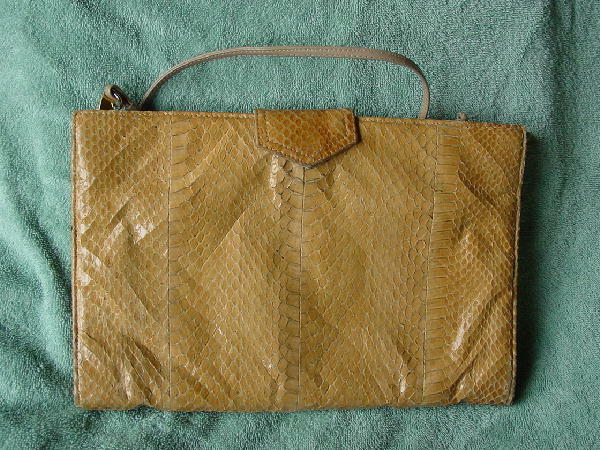 This vintage snakeskin purse is by Sylvia Cee and was made in Hong Kong. 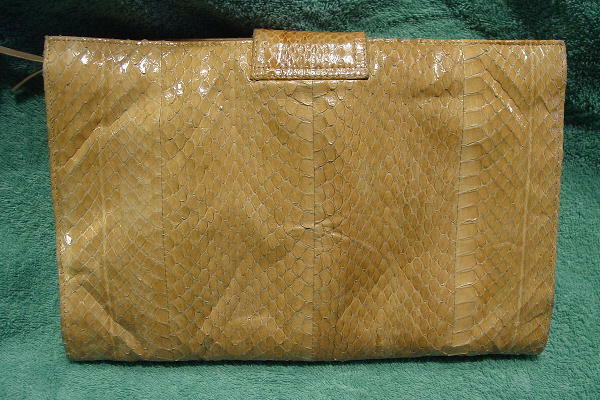 It has nice large scales and is in a sandy-tan color. The upper flap has a magnetic closure under it. 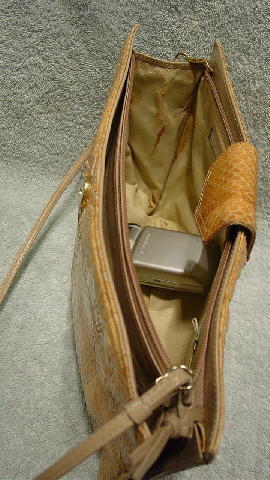 It has a 45" long bone-beige shoulder strap which can be tucked inside so you can carry it as a clutch. There is a full inner open section on one side and the other inner side has a top side to side zipper. The back side of the zippered section has a zippered pocket with a white fabric lining and an open pocket. The surface has some wrinkles. The left inner side has glue marks on it and the top inner side has some color missing from the lining. It's from a stylist's inventory, and was carried by an actress in a foreign film.